This was an interesting choice for a Premium figure on Bandai's part, Grand Pope Sion is more or less an off screen character and what few seconds of flashback he does appear in does not look like this. I believe he is meant to look like he does in the manga (there are sometimes subtle color changes they make in the transition to animation.) 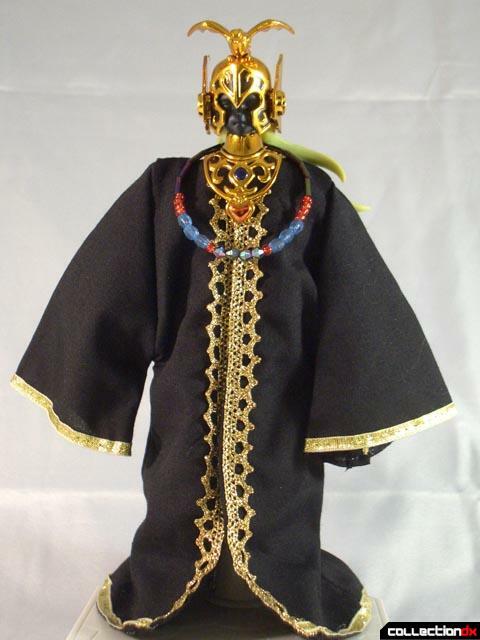 Thus the dark robe and different helm than in the TV series. All of this happens in very short flashbacks and Sion is only really glimpsed in a few quick shots. So while Sion will reappear during the Hades arc, resurrected as a servant to Hades, it's an odd choice for a mail in premium. The figure is a Generation 2 body with all the usual points of articulation that I have come to expect from a Saint Cloth Myth figure. The figure itself is made of plastic with die cast metal feet. 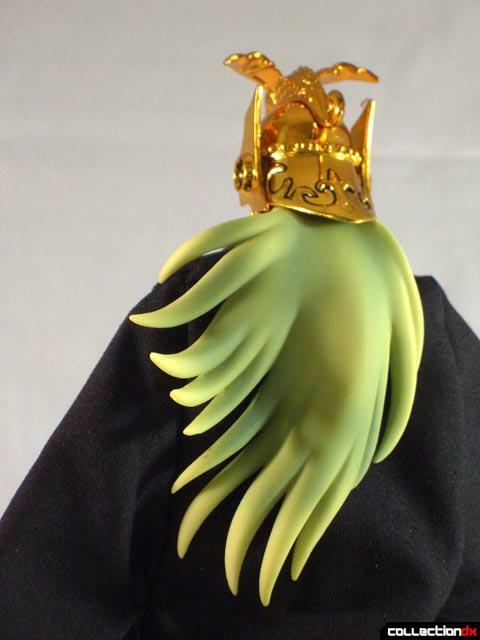 The feet are the only parts of the release made of metal, all of the other accessories are plastic. 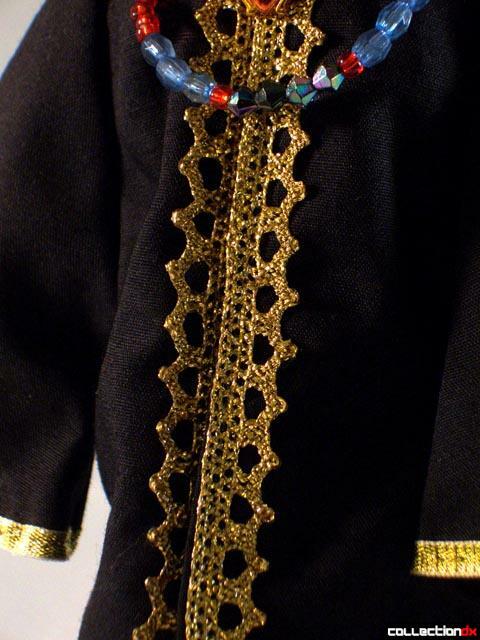 The robe, is of course, made of Cloth and features excellent detailing. The trim on the sleeves and down the front is all embroidered, a nice touch considering this is a low run figure. 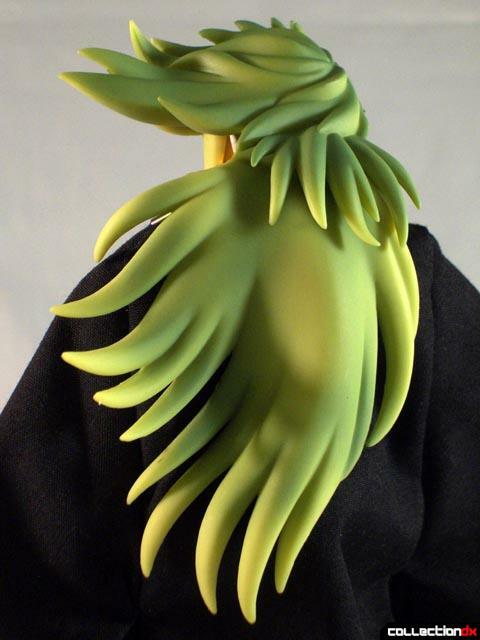 Bandai really does spare no expense in the detail on these figures. Other than the helmet, collar and alternate head; Grand Pope Sion is pretty light on accessories. What he does come with, and one of the reason I wanted to scoop him up, is 13 of Bandai's stands for the Saint Cloth Myth line. An item that, as of this article, appears to be either back ordered or sold out everywhere. 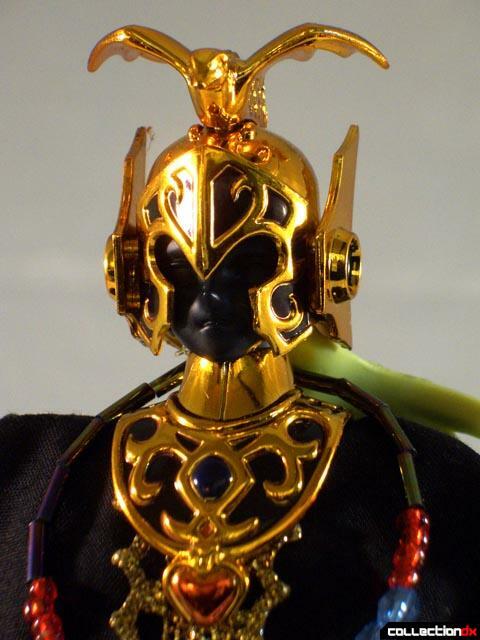 The idea for including the stands was to display the Grand Pope with all 12 of Athena's Gold Saints. Bandai was also nice enough to include a sticker sheet as well with the names of the Gold Saints, Grand Pope Sion and all 5 of our main characters, the Bronze Saints. I'm glad I grabbed him when I did as I plan on getting Sion in his resurrected form, so paired with that release it will display nicely in my collection. 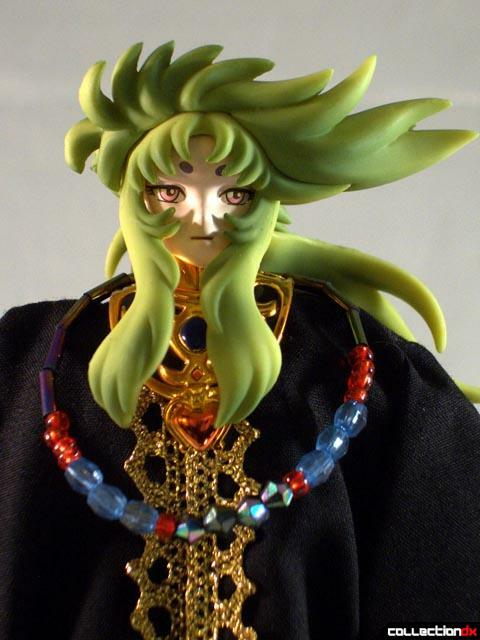 With that said, this one is for Saint Seiya completest only. Everyone else will want to pass on it. 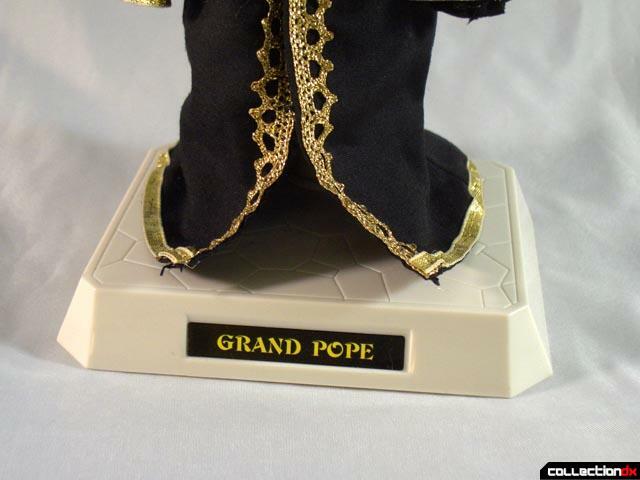 Should you want to add Grand Pope Sion to your collection you can get yours at Angolz.com. A quick, short video is below for your viewing pleasure. Great review. 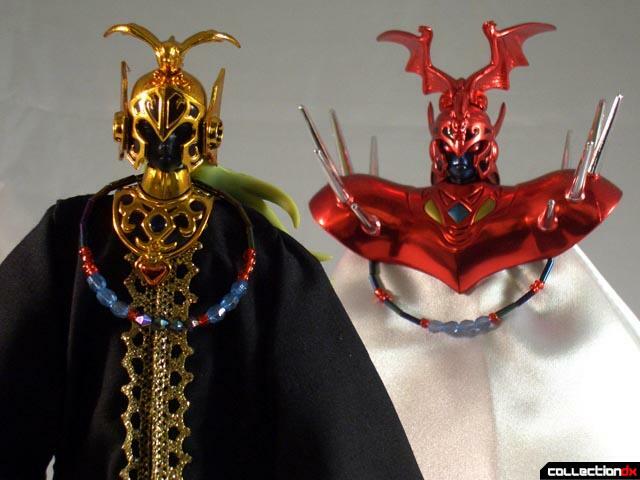 I have become very interested in this line and I am consdering getting one, they all look fantastic, very detailed and of very good quality. I was just wondering if these figures on a whole are durable or fragile etc. Does anyone have any suggestions on which one I should purchase?